one of my girlfriends nyeta decided to take me for a night on the town to celebrate my birthday. she was treating me to brunch and had tickets for cirque de soleil! i was ecstatic. we always have fun when we go out and i was looking forward to it. for brunch we went to this restaurant that had an amazing menu. she had been there before, so she ordered these cinnamon donuts holes with orange zest that you dip in a coffee cream sauce. these donuts were to die for! she ordered the donuts as the appetizer but i could have had 2 more orders and would have been content with just that. 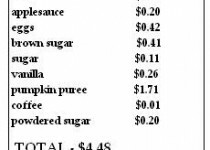 so when i started thinking of donut recipes, i knew i wanted to try to recreate that delicious coffee cream somehow. how about as a glaze? yes! it so happens that my girlfriend nyeta LOVES pumpkin. that's it! 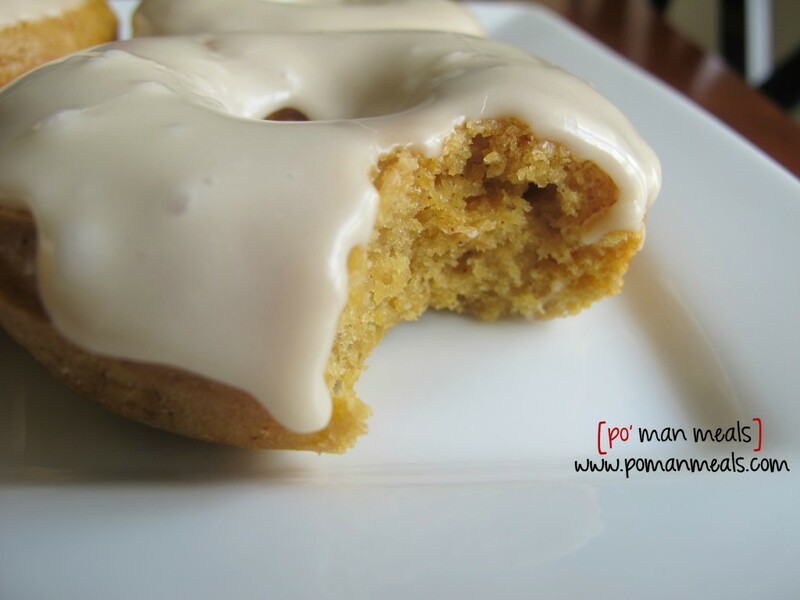 pumpkin donuts with a coffee glaze. these donuts have her name written all over them and reminds me of our wonderful time together. these are 'cake like' donuts and are very soft and moist. the coffee glaze was the perfect pairing! gotta try this one, folks. you'll love em'. 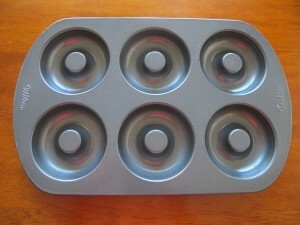 i used a wilton nonstick 6-cavity donut pan to make these donuts. i didn't even have to spray the pan with cooking spray. mix the dry ingredients - flour, salt, pumpkin pie spice and baking powder together in a small bowl. in a medium sized bowl, add the oil, applesauce, eggs and sugars. using an electric mixer or whisk, blend the ingredients well. stir in the vanilla and pumpkin puree. gradually add the dry ingredients to the wet. mix until just mixed. please do not over mix. 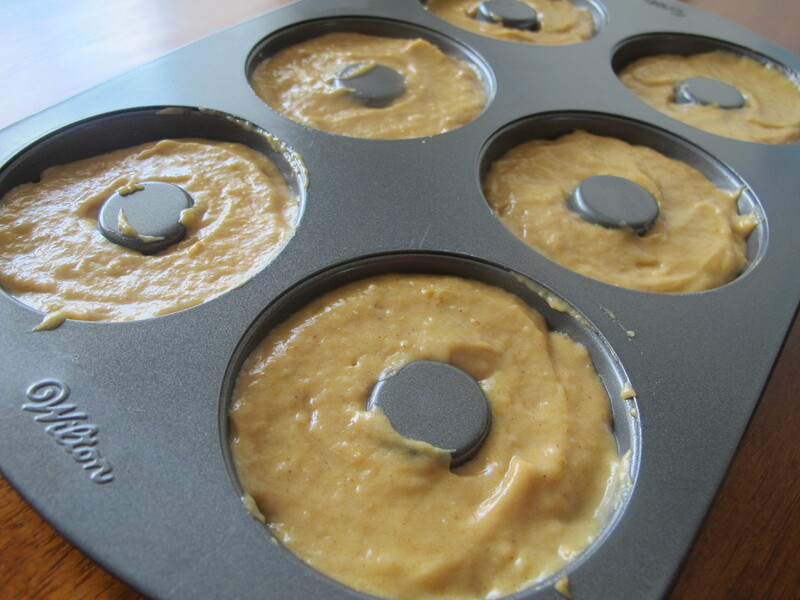 spoon some of the batter into the donut pan until about 3/4 of the way full. level out with a spoon. bake in the preheated oven for about 15 minutes. remove the donuts from the donut tray and allow to cool on a cooling rack or plate. for the glaze - whisk the powdered sugar and coffee together until smooth. if you feel it is too thick, add more cooled coffee or milk. if you would like it thicker, add more powdered sugar. dip the tops of the cooled donuts into the glaze. allow to harden onto the donut. 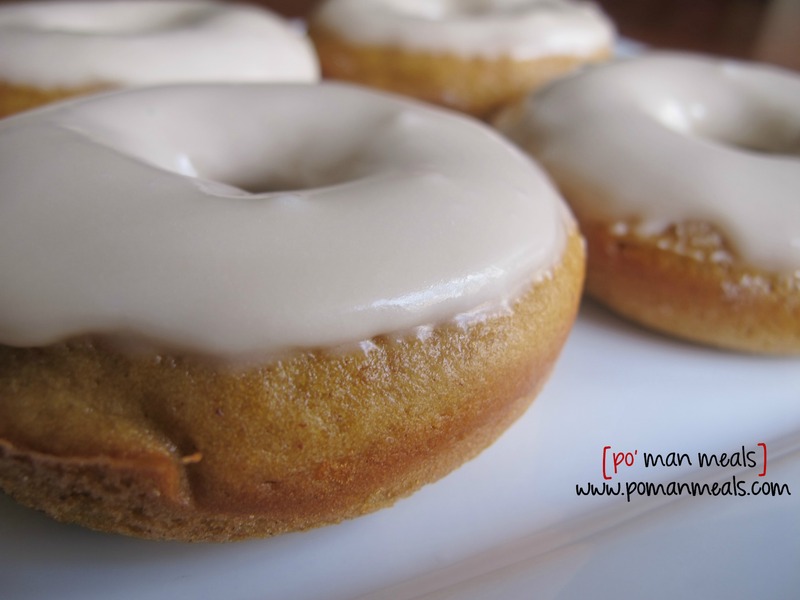 you can use powdered sugar or even cinnamon sugar to glaze your donuts. not a fan of coffee? add milk instead. looks delicious!!! i love recipes…thank you! Hi, Im about to prepare these and just figure that I dont have the apple sauce! Is that really necessary or can I omit it? Please let me know, thanks!